There is a lot going on around the region in the next week. You probably can’t do it all, so plan accordingly. Works by Pomeroy artists will be featured in the Wonderful Wood Show opening today at the Blue Mountain Artisan Guild Art Center in Pomeroy. A reception will be from 5 to 6 p.m. May 3. Gary Cole of Pomeroy is the featured wood artist and Katie Cook of Pomeroy is the featured junior artist. Exhibit hours at the center are 10 a.m. to 5 p.m. Tuesday through Friday, and 10 a.m. to 2 p.m. Saturday. The center is at 745 Main St. Families, couples and singles are expected to take to the floor at the community contra dance May 4 at Moscow’s 1912 Center. The River City Ramblers will provide live music while Emily Faulkner will be the caller for the folk dance. Free dance lessons begin at 7:30 p.m., and the dance will go from 8 to 10:30 p.m. Admission is $8 for regular price, $6 for Palouse Folklore Society members and $5 for first-timers. The center is at 412 E. Third St., Moscow. A Fiber Art Show at Clarkston’s Valley Art Center opens with a reception from 4 to 7 p.m. May 4. The free reception will feature refreshments, including light appetizers. 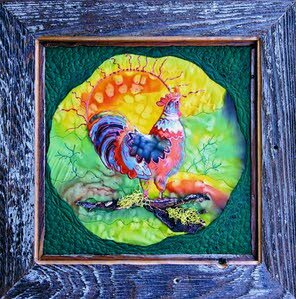 A fabric rooster by Jen Whitted will be on display at Clarkston’s Valley Art Center. 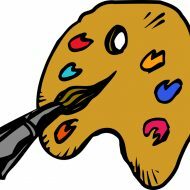 Featured artists will include Pam Brooks, Carol Triplett and Jen Whitted, all of Lewiston; Ginny Clark of Clarkston; and Tracy Randall of Pullman. The show continues through May 26. The center is at 842 Sixth St., and gallery hours are 10 a.m. to 4 p.m. Tuesday through Saturday. 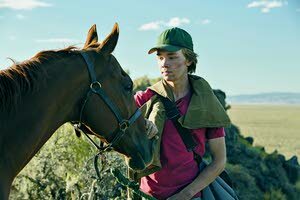 The 2018 Kino Film Festival, a showcase of student films, will be May 4 and 5 at Moscow’s Kenworthy Performing Arts Centre. A total of seven films will be screened beginning at 7 p.m. May 4 and 1 p.m. May 5, and admission will be by donation at the door. The festival was founded in 2001 by former University of Idaho faculty member Hans Rosenwinkel, according to the festival website. The annual event showcases short film work from students in the broadcasting/digital media production degree program at the UI in Moscow. The center is at 508 S. Main St.
More details about this year’s films may be viewed online at www.uidaho.edu/class/jamm/opportunities/kino/films. Are you ready to slurp some spaghetti? The Rotary Club of Pullman’s annual Spaghetti Dinner and Silent Auction will begin when doors open at 5 p.m. May 5 at Lincoln Middle School in Pullman. While attendees are digging in to dinner, live music and entertainment will be provided by Auf Gehts German Band, UPOPs, and Lincoln Middle School and Pullman High School students. Cost is $8 regular price, $5 for ages 9 and younger, and free for ages 4 and younger. Advance tickets may be purchased at Sam Dial Jewelers in Pullman. Money raised will go to support community enhancement grant awards, according to the group’s website. The school is at 315 S.E. Crestview St.
Chris Carlson of Medimont, Idaho, will sign copies of his latest book from 10 a.m. to noon May 8 at the Lewiston Tribune. Carlson’s book, “Hells Heroes: How an Unlikely Alliance Saved Idaho’s Hells Canyon,” focuses on the politics that went into getting federal protection for Hells Canyon while also keeping the Snake River open to motorized crafts. Carlson is a former journalist who was born in Kellogg, Idaho, and writes a regular column for the Lewiston Tribune. He served as press secretary to the late Interior Secretary and Idaho Gov. Cecil D. Andrus. The book is published by Caxton Press of Caldwell.